There’s one thing standing between many vehicle shoppers and the vehicle of their dreams: They think a new vehicle is beyond their financial means. Not so fast. What if we told you that the new vehicle you’ve been dreaming of could not just fit into your budget, but fit EASILY into your budget? If you know where to go for the best new car deals around, that is exactly what can happen. 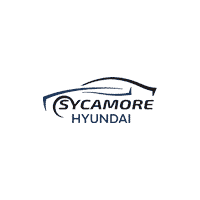 For drivers in and around DeKalb, Rockford, and Aurora, IL, the “where to go” is simple: Sycamore Hyundai. How can we be so sure you can afford a new car? We have lots of ways. For starters, the Hyundai brand as a whole is known far and wide as a manufacturer of value-packed vehicles with an amazing amount of bang for your buck. So if you’re shopping for a vehicle that has loads of features and amenities but doesn’t price you out of the class, you’ve found your brand. At Sycamore Hyundai, all of our new Hyundai models are priced low from the start. That means that as you browse our lot, you’ll already be wowed by the low prices you see on the new Santa Fe, Kona, Elantra, and Tucson models we have in stock. Our savings go beyond sticker prices, though. From factory incentives and discounts on featured vehicles to low-interest loans and special lease offers, we’ve got all kinds of ways to save you money! The more you save on your new Hyundai, the happier you’ll be when you drive off our lot. And because your complete satisfaction is our number-one priority, you can rest assured that you’ll save plenty when you buy or lease from Sycamore Hyundai. Savings come in many forms, and you’ll save time as well as money when you use our handy online tools to streamline the shopping and financing process. Explore our inventory online using search filters to hone your results, fill out a finance application, estimate your monthly payments on the vehicle you’re interested in, and see how much your trade is worth. Once you arrive at Sycamore Hyundai, you’ll be able to get right down to the best part of any car-buying venture: test driving your favorite models and finding out how much you’ll save! Our special offers change frequently so that we can be sure we’re offering the best available savings opportunities to our valued customers. Contact Sycamore Hyundai to ask about our latest specials and current offers, and hurry in when you’re ready to claim your bargain! No matter when you shop at Sycamore Hyundai, you’ll find low everyday prices and irresistible offers to go along with our great selection and unbeatable customer service.